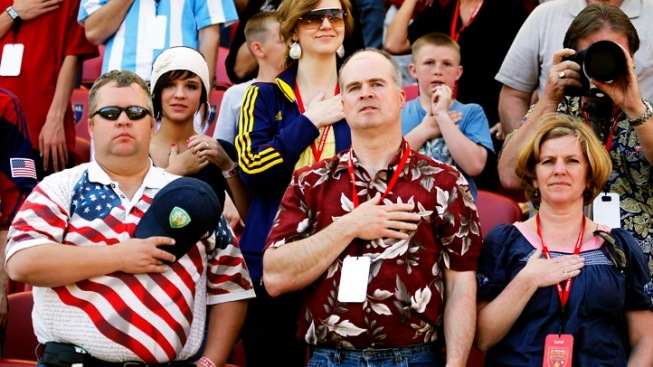 The National Anthem is a tradition at sporting events, but it is banned at Goshen College. Tiny Goshen College in Indiana has banned the "The Star Spangled Banner" at all sporting events because the Mennonite school's president considers the National Anthem's words to be too violent. Art professor John Blosser told The Goshen News that there is much national pride at the school, but that most people aren't going to blindly accept what the country does. NBC Sports' Rick Chandler weighed in, saying: "I suppose we could have followed the example of the Mennonites and simply fled, giving the nation back to the British. But then we’d all be playing cricket."